Submersible water pump. Suitable for dirty water. 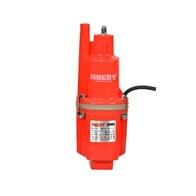 Electric submersible pump for water up to 1 mm depth. 10 m cable. 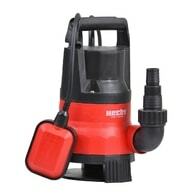 Maximum flow 11500 l / h. Displacement 6.3 m. Power consumption 400 W.
Electric powered submersible garden pump. 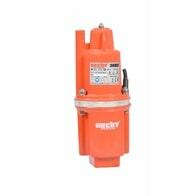 Electric powered vibration submersible garden pump with aluminium alloy body, 10 m rubber power cable. 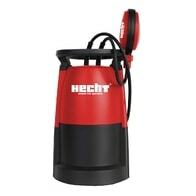 Power input 600 W, maximum delivery height 70 m and maximum delivery volume 1700 litres/h. Suitable for clean water. 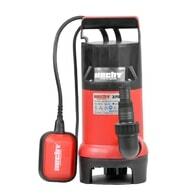 Electric powered submersible garden pump with power input of 350 W.